As a massage therapist, my super power is not in my fingers. It is the ability to fold a fitted sheet to look like a flat sheet. Alas, it can’t save lives or end world hunger, but it does garner a respectful nod from many an observer. So, this month, I will convey a life hack that involves the use of a fitted sheet. 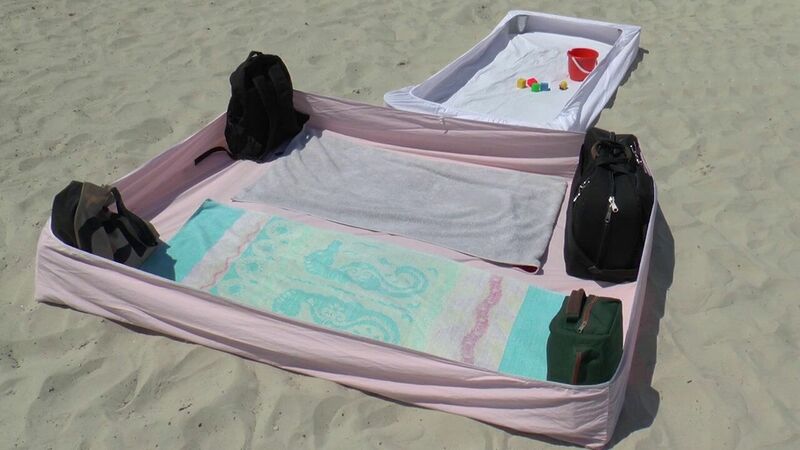 When headed to the beach this summer, don’t forget to pack a large fitted sheet. Using a fitted sheet will help (not prevent) keep sand from getting on your small plot of land. Check it out!